Ingrid Bergman is arguably the greatest film actress of the 20th century. In conjunction with her upcoming 100th birthday, which will be celebrated on 29 August 2015, her four children—Pia Lindström, Isabella, Ingrid and Roberto Rossellini—have given Schirmer/Mosel access to the treasure trove of the family archive and commissioned us to produce the actress’s essential, quasi official pictorial biography. As a young star, she celebrated her first successes in her native Sweden in the thirties. In Hollywood she attained international stardom, appearing in such classics as Casablanca and For Whom the Bell Tolls. Fleeing her first marriage and Hollywood, she went to Rome where, together with Roberto Rossellini, she brought forth three children and five films. 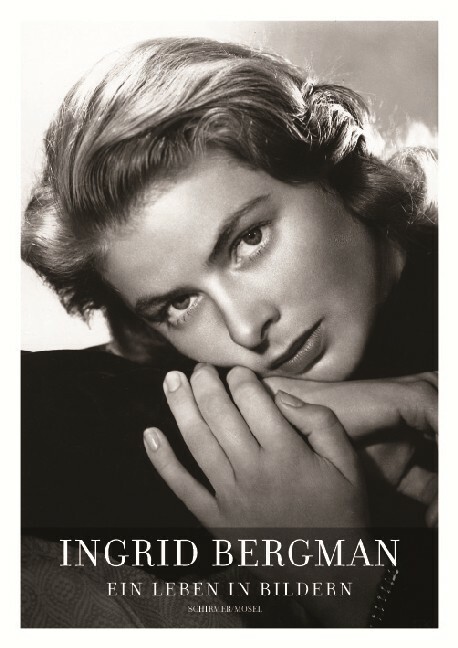 Then came her triumphant return to Hollywood, New York, Paris, and London following her divorce from Rossellini—these were the stations of an immensely abundant life and a magical career that encompassed 44 movies and brought Ingrid Bergman into contact with the world’s most creative actors, directors, writers, and photographers. Her friendship with Alfred Hitchcock, with whom she made three films, and her very personal relationship with legendary photographer Robert Capa are splendid highlights; her subsequent return to Sweden and her film with Ingmar Bergman is another. The book, which features an introduction by her co-star in Autumn Sonata, Liv Ullmann, contains a treasury of photographs that is simply beyond description: unpublished private photos, splendid commission and glamour portraits, film stills, and the indiscrete street photos of the paparazzi, who were constantly on Bergman’s heels from an early stage. Original texts by Ingrid Bergman and many of her famous colleagues accompany the optical feast we have prepared for you and which we proudly present in honor of Ingrid Bergman. Schirmer/Mosel. Edited by Isabella Rossellini and Lothar Schirmer. With a foreword by Liv Ullmann, an interview between Ingrid Bergman and John Kobal and Texts by Ernest Hemingway, Jean Renoir, John Updike and others. With CD: „As Time Goes By“ (Anja Lechner, Violoncello). 528 pages, 385 colour and duotone plates. Size: 24 x 31 cm, hardcover. German edition.